I found this dish while net researching. It is a dish from Georgia’s Ajara region. 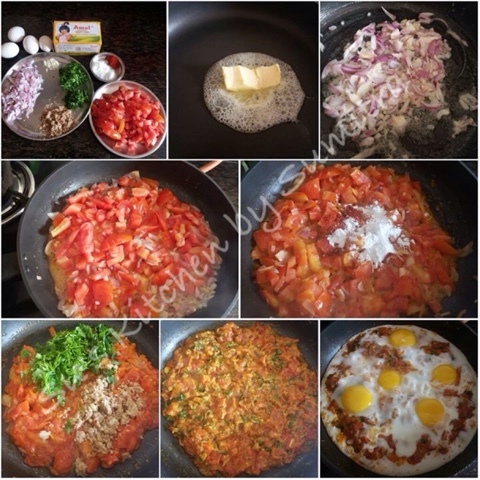 The eggs are made with tomato and walnut sauce. 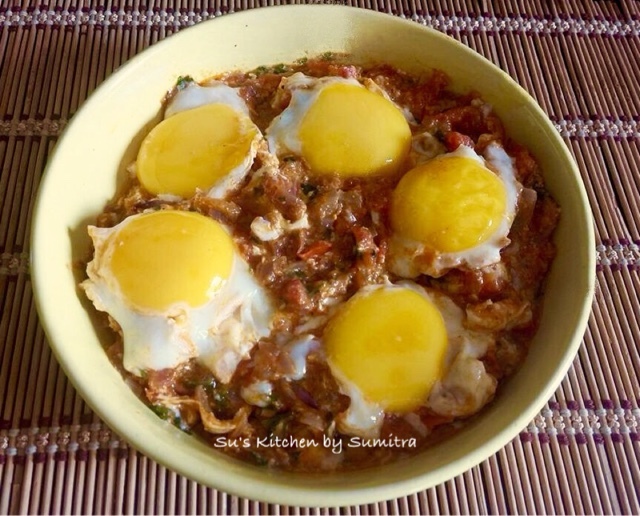 It is a popular breakfast dish. Different versions of Chirbuli are made in different regions of Georgia. It is worth the try. Melt the butter in a pan. Add the chopped onion and garlic. Saute it till light golden in colour. Add the tomatoes. Stir it. Add the corn flour, salt and chilli powder. Stir and continue cooking on low flame, stirring it frequently for 2 to 3 minutes. Add ground walnuts, coriander and basil into the pan and stir again. Carefully crack the eggs and add it on the chirbuli sauce. Let it cook for 3 minutes till the eggs are cooked. Serve it hot.